Building and maintaining an effective social media presence doesn’t just happen. It requires planning, strategy, and execution. You need social media marketing management or a social media marketing virtual as sistant. 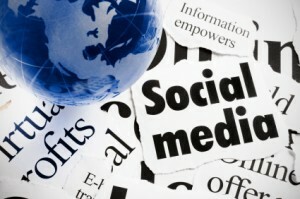 Social Media has become a critical component of marketing for businesses. Most small and medium businesses are increasing their budgets for social media marketing because traditional marketing is broken. But how do you make the most of the opportunity that social media marketing presents for your business? If you are like most business owners and managers, your time is valuable and in high demand to focus on what you are good at. You don’t have time to stay on top of the rapid changes that are happening in Social Media Marketing, and frequently don’t have the time to focus on creating content and engaging with your connections in a timely manner. Social Media Marketing offers a tremendous opportunity for businesses to grow their businesses, provide better customer support, and to retain their existing customers. Adding a Social Media Manager or a Social Media Virtual Assistant can take your social media marketing efforts to the next level. Get the most out of Social Media Marketing with a Social Media Manager and read our report today!